Helen B Morris passed away Wednesday, January 30, 2019 in Oklahoma City, Oklahoma at Deaconess Hospital at the age of 90. Helen was born September 28, 1928 in Holdenville, Oklahoma to Willard Wilson and Iva Holt Wilson. Helen graduated from Holdenville public school. She married James Morris November 26, 1949. Helen was a member of Faith Freewill Baptist Church in Holdenville, Oklahoma. She loved her farm, horses, ranching and cows. Helen is preceded in death by her parents, and her husband, James Morris. 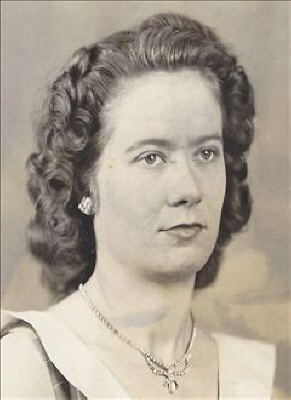 She is survived by her son Keith Morris and his wife Jackque from Holdenville, Oklahoma and daughter Anita Flethcher and her husband Tom, two brothers; Wayne Wilson and his wife Lillian, Doyle Wilson and his wife Mary Evelyn, grandchildren; Jeffrey Foster, James Daniel Morris and Mandy, Ryan Keith Morris and Anna, and Lynsie Mechelle Morris and great grandchildren; Autumn and Bailey Morris. Funeral service will be 2:00 PM Saturday February 2, 2019 at the Faith Freewill Baptist Church in Holdenville, Oklahoma with Rev. Earl Scroggins officiating. Pallbearers are Dan Morris, Micah Mitchen, Conner Brannon, Bryan Wilson, Doyle Wilson, Mark Brannon, . To send flowers or a remembrance gift to the family of Helen Beatrice Morris, please visit our Tribute Store. "Email Address" would like to share the life celebration of Helen Beatrice Morris. Click on the "link" to go to share a favorite memory or leave a condolence message for the family.